on oatmeal bread. 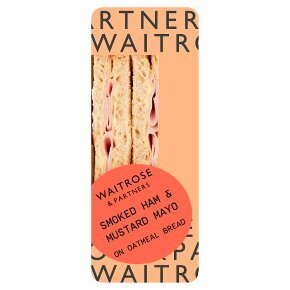 Thinly sliced smoked ham with mustard mayonnaise, on soft oatmeal bread. Made with British ham, from farms we know and trust.